The problem of cryptocurrency exchanges reporting fake volumes is nothing new. The incentives for why certain exchanges provide fake volumes are clear and directly tied to their relationships with rankings sites and altcoin issuers. As the industry continues to develop, growing transparency of the problem has resulted from better metrics for analyzing crypto exchange volumes and their incentive dynamics. Many retail investors and newcomers to the crypto markets are not familiar with the structure of the broader ecosystem, so it is important to understand precisely how and why this phenomenon is occurring. Analysis of crypto exchange volume data has shown that junk data — specifically deriving from wash trading — is prevalent among several of the top exchanges in the world. Both the Blockchain Transparency Institute (BTI) and CryptoExchangeRanks provide some great insights into the extent of this data manipulation through an innovative technique that compares purported exchange volumes against web traffic. BTI directly used extensive slippage research from Sylvain Ribes — reported back in March — in combination with SimilarWeb for analyzing website traffic. SimilarWeb was also used by CryptoExchangeRanks in their study for web traffic analysis of BitForex. CryptoExchangeRanks came to the conclusion that BitForex receives the majority of its new website traffic through CoinMarketCap, and is forging trading volume data to remain at the top of the ratings. BitForex is currently #1 on CoinMarketCap’s reported exchange trading volumes by a substantial margin. The reason identified for this discrepancy is that building communities for an exchange is simply more expensive and complex than forging trading volumes to attract users. Similar conclusions were made by BTI’s research. Their exchange rankings data spreadsheet demonstrates some noticeable discrepancies for trading volumes of Huobi, Okex, and HitBTC. Conversely, BTI identifies that exchanges Bittrex, Cryptopia, and Kucoin report exchange volumes lower than their higher unique visitor counts would indicate. 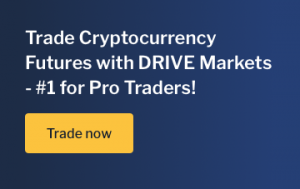 This suggests that they are accurately reporting their trade volumes as they could potentially report much higher trading volumes. Tools for investors to find such transparency and extensive analysis of crypto exchange volumes are difficult. However, several projects and companies offer excellent tools for doing so, including Blockstream/ICE’s Cryptocurrency Data Feed and research performed by Nic Carter as part of Castle Island Ventures and coinmetrics.io. Nic Carter’s Medium post about the incentive structures driving the current exchange ecosystem is great for revealing the relationship behind exchanges, altcoin issuers, and cryptocurrency ranking sites like CoinMarketCap. The general conclusion is outlined explicitly as the alignment of incentives between the 3 parties involved in the markets. Altcoin issuers (particularly pre-mine altcoins) want token liquidity which is inherent on exchanges with large volumes. Exchanges want large volumes to attract new investors and subsequently receive listing fees from the altcoin issuers. Rankings sites want ad and reflinks revenue. They also lack the necessary resources to monitor exchange volumes accurately. As a result, all 3 entities involved in the process profit from the inclined nature of crypto-to-crypto exchanges — which are largely unregulated — to report fake trading volumes. An important distinction needs to be made in regards to fiat-to-crypto exchanges like Coinbase and Gemini who are working closely with regulators. They want to exist under the appropriate regulatory framework to be fiat on-ramps, and that is why their reported exchange volumes are in line with what they should be. Retail crypto investors — particular those on crypto-to-crypto exchanges — are ultimately those with the most to lose. While they may benefit from the pumping and dumping of highly volatile cryptocurrencies in the short-term on unregulated exchanges, it is not a sustainable model for profitable investment. Manipulation of trading volume data is a relatively open secret in the cryptocurrency markets. The major hurdle facing transparency of the ecosystem’s incentives and the reporting of fake volumes is access to reliable information. It is essential for newcomers, and even established crypto investors, to understand the risks associated with the current markets as they continue to develop.